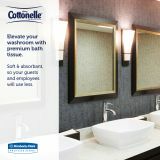 From Cottonelle®, a high-quality brand that offers home-like comfort. 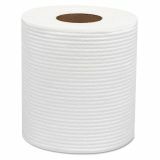 Individually wrapped in attractive packaging so rolls stay clean and hygienic. 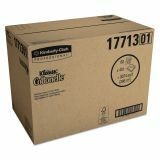 Small cases for easy storage and handling. 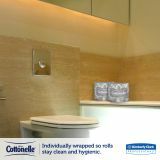 This product is made from wood that came from a certified managed forest. 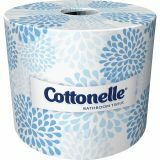 Cottonelle Toilet Paper, 2-Ply, White, 4 x 4 1/10 Sheet, 451 Sheets/Roll, 60 Rolls/Carton - A premium bath tissue that makes a great impression. 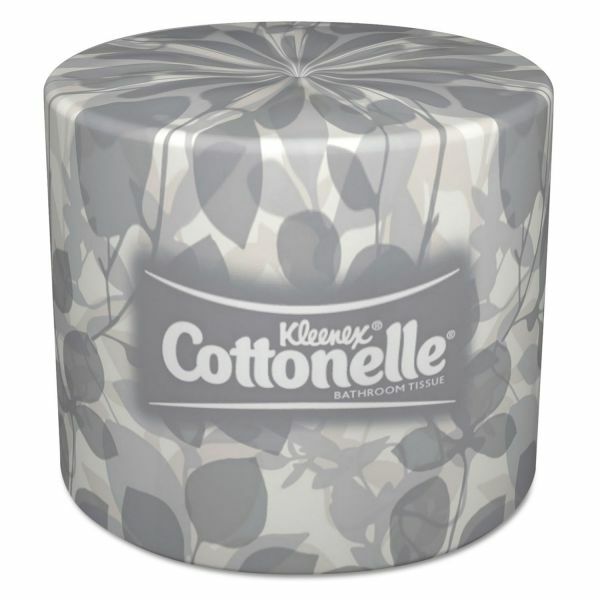 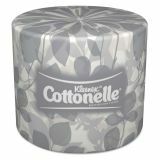 Offering the best toilet paper on the market, this line of Kleenex Cottonelle toilet paper is quality you can count on. 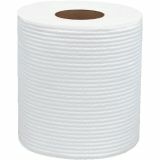 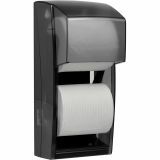 This 2-ply premium toilet paper has a sheet size of 4.09” x 4.0” and will fit in most standard toilet paper dispensers. 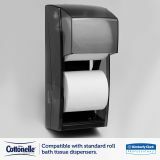 Each roll contains 451 sheets. 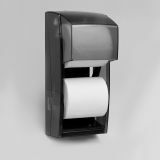 Includes 60 rolls. 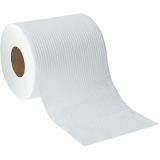 4" x 4.10" Sheet Size. 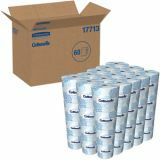 60 individually wrapped rolls/ carton.